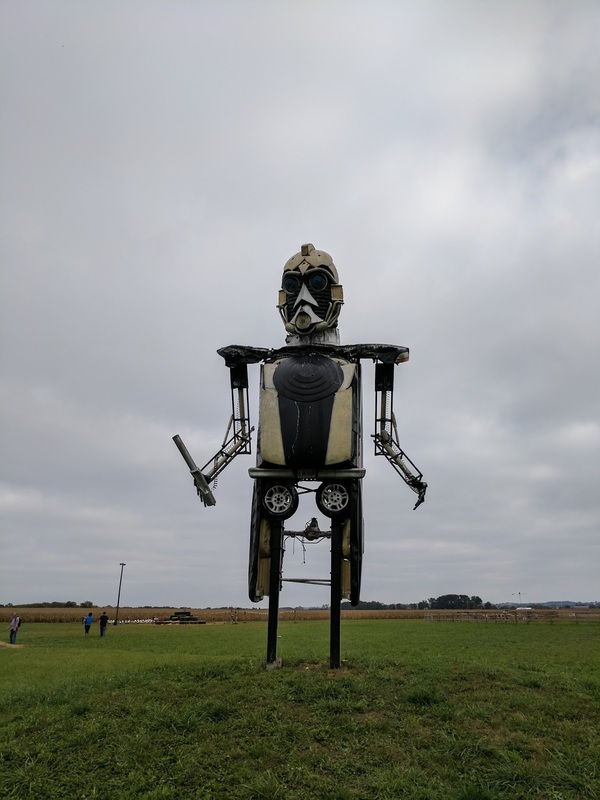 This past weekend we took the kids to a local farm for the corn maze / typical harvest activities and they had constructed this giant robot from recycled vehicles, very cool! Anyway, after seeing this I decided this would finally be the year I join in on the fun. Despite being a couple weeks behind, I think I can still manage to get the Contemptor completed in time. It certainly went together quickly which is good because I'll need every bit of the two remaining weeks to get this guy painted properly. I was able to prime it this morning so I should be able to start on the base colors this evening. 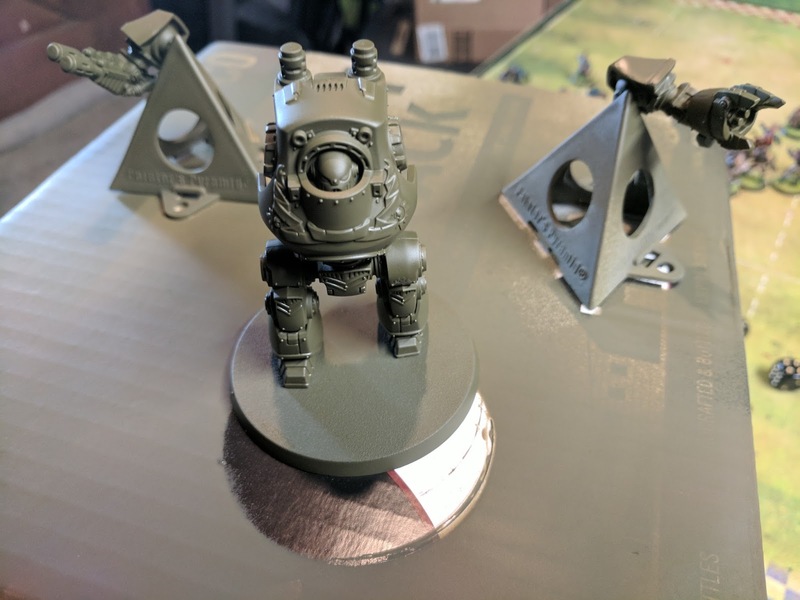 I'll be painting this up in the colors of my Raptors space marine army. 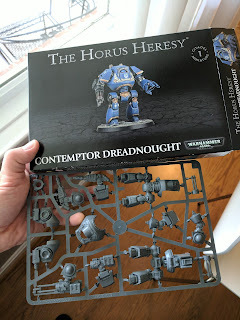 Haven't worked on anything 40k for awhile so this should be fun. 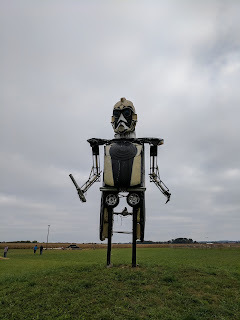 I'll keep you posted on my progress, and you can follow along with everyone's progress over on the main DreadTober site!